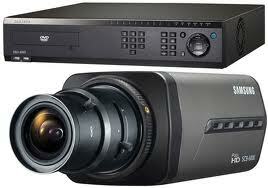 So what did the IMS research say about HD cctv over coax and how things will work out for this technology in 2012. Well we have been following this closely over the last year and have seen some major developments over the last 12 months. Mainly on paper though. The promise of HD over cat5 and advances of the sort of distance and cable quality that can be used are being addressed mainly by the HD cctv alliance and this is to be commended. How have sales advanced though over the last 12 months and how will these progress over the next 12 months and beyond. Will it be HD-SDI or HD cctv? It has to said that the idea of HD cctv over coax is an attractive one , especially here in the UK. A combination of a mature, saturated market here and the desire for HD means that by retaining existing infrastructure but delivering better picture quality will mean that HD cctv over coax must get some market share, how much though will surely come down to price and interoperability. As the IMS research points out the reason for a muted response for demand in 2011 was perhaps a lack of education. We know of several companies that are still to even hear of the technology and this news for those hoping for a rapid expansion for HD cctv over coax is disappointing. However this said, there does seem to be an unstoppable movement towards HD SDI DVR and HD SDI camera solutions. The IMS predicts a doubling in sales and we expect to see more players other than Everfocus starting to really push for market share in 2012. The Samsung SCB-6000 HD SDI camera will prove a popular choice and has begun to turn heads already, also expect to see Samsung push their HD SDI DVR the SRD 480D as well this year. So in summary for HD cctv over coax to really make an impact in 2012 the IMS say that Standardization is crucial ( the HD cctv alliance are currently striving for this). Storage costs must come down …well we have a problem with this early 2012 that’s for sure with hard drive shortages driving up the cost of storage. Finally market education is crucial. This is true however if this plug and play solution does become affordable the market will not take long to realize that its easier than IP and less “education” is required. The problem at the moment seems to be that getting the word around about how effective HD cctv over coax could really be here in the UK. Finally we need to think about the chip manufacturers, will they come up trumps and produce chip technology that makes HD cctv over coax an even more affordable solution?….lets wait and see. This entry was posted on Thursday, January 12th, 2012 at 20:40	and is filed under HDCCTV. You can follow any responses to this entry through the RSS 2.0 feed. Both comments and pings are currently closed.